We landed at Gold Harbour, South Gerogia, very early, about 5:30 PM. 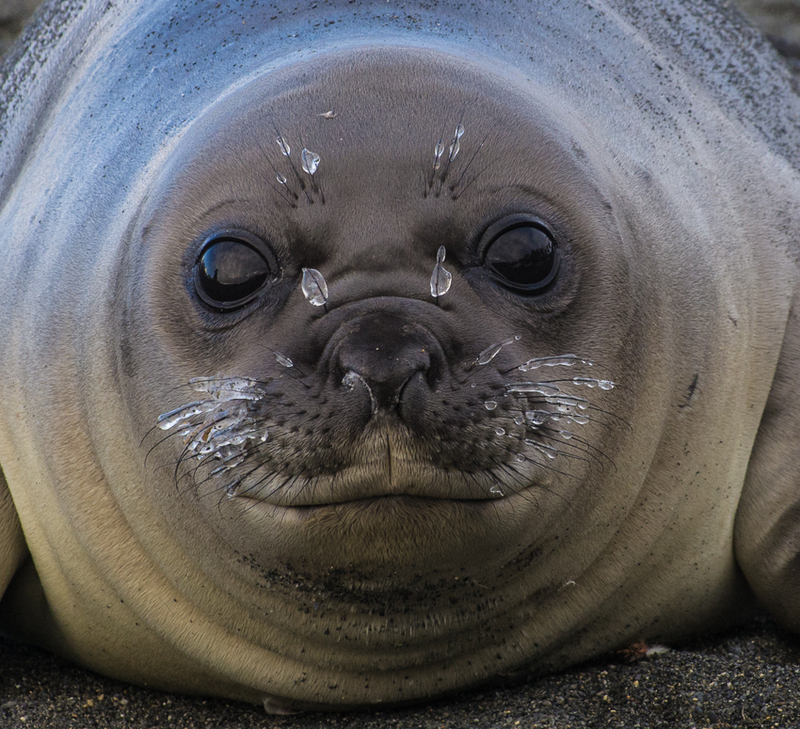 The cold was so intense that even the whiskers of young elephants seals were frozen. 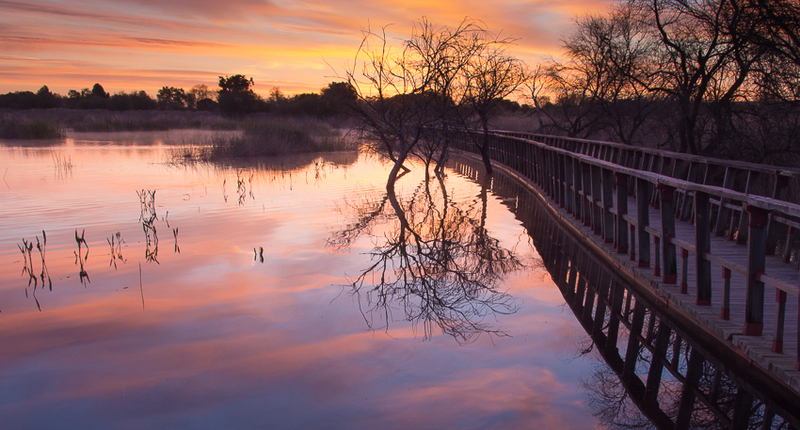 The winter of 2013 was very rainy so we took a weekend to visit the National Park of Las Tablas de Daimiel. The problem was that many people did the same, so the possibility taking a picture without people was impossible. We decided to get up early on Sunday to make the dawn, hoping that people would not go so early. It was very cold to be in April but it was worth it because we saw a breathtaking sunrise. And we only had to share the place with other photographer. When the colors of the sky disappeared we went to take a well deserved breakfast. 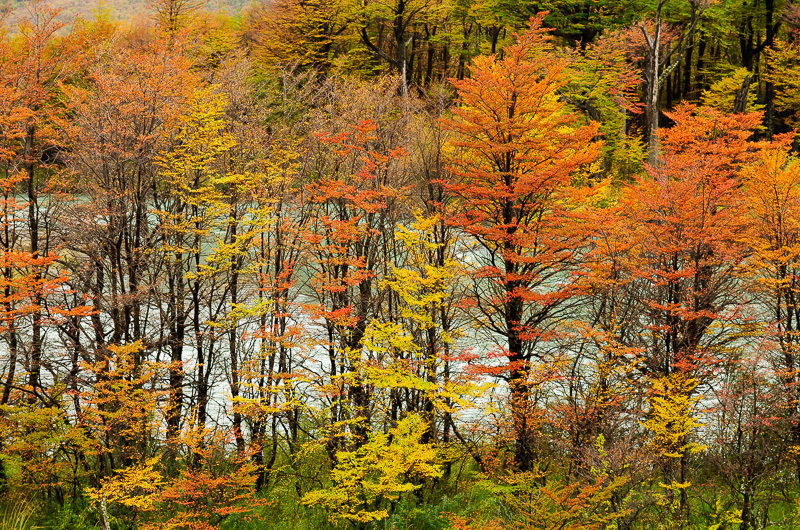 Capturing the beauty of Autumn colors is not easy: it is normal to end up with images that do not reflect the grandeur of what we had in front of us. This time I wanted to just display a palette of colors, with the excuse of the background blue river and a composition based on vertical lines. Nothing special, but it reminds me exactly the feeling I had when I was there. In 2014 we had the chance to see three times the super moon, ie with a full size larger than usual to be at its closest point to Earth. The best time is just as the moon rises over the horizon, because it is when the larger apparent size is presented and when it has that nice orange color. The problem is that you have to be ready at that time in a place with clear skies and no clouds. In super moon of July and August we were in Mexico and was so cloudy that did not get to see it. 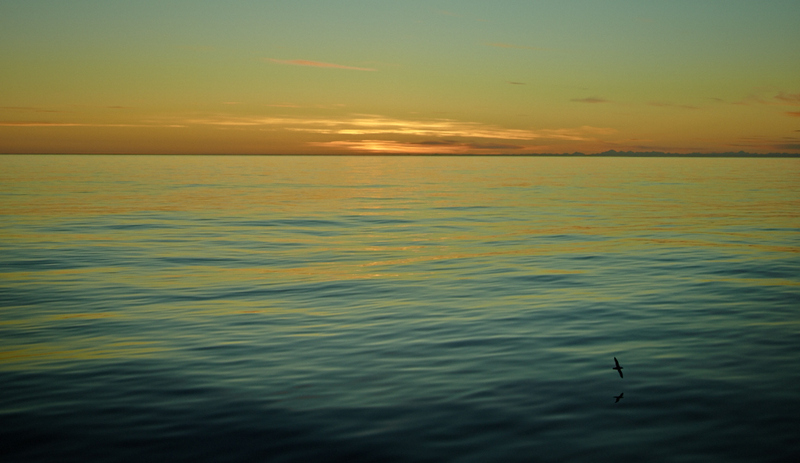 But in September we had an excellent opportunity while in an expedition to the Arctic, north of Svalbard. 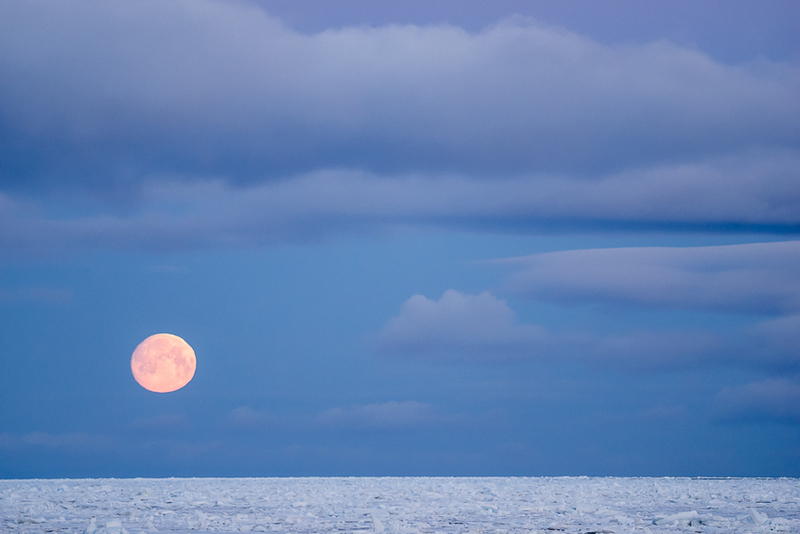 And see how it goes up this huge orange moon from the Arctic ice is an exceptional experience. Every day, from the terrace of our hotel in Mexico City, we saw the famous volcano Popocatepetl (5,500 m), but we saw it at sunrise against the sun. The scene was impressive, especially when the clouds stained red, but always wanted to see it from the south. One weekend we went to the famous city of Puebla, where we would have the opportunity to view the sunrise from the south. 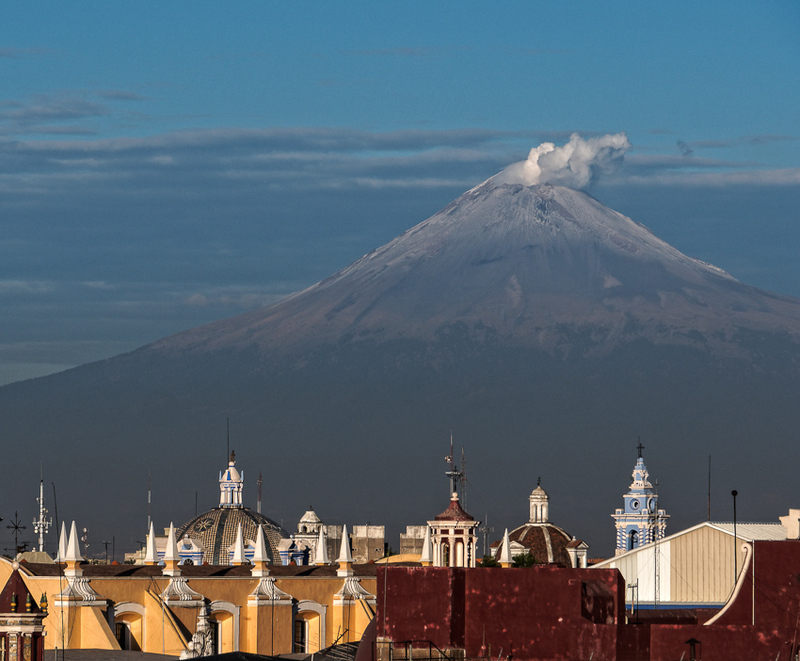 On Sunday of that weekend we went up to the terrace of our hotel in Puebla at sunrise and we could see this scene of the volcano, with its smoky plume (it is an active volcano) and the domes of many churches in the city. One hour later the clouds covered the mountains and we did not see more the Popo. On our last trip to Greenland we did a trek through a lonely valley that seemed lifeless. It was very cloudy, snowing at noon. Our group consisted of only three people: Yolanda, the guide and I, so we could get closer to wildlife without scaring them. In a small depression produced by an icy river we saw that something was moving but we did not see anything at first: the leaden sky and perfect camouflage made ​​them go unnoticed. 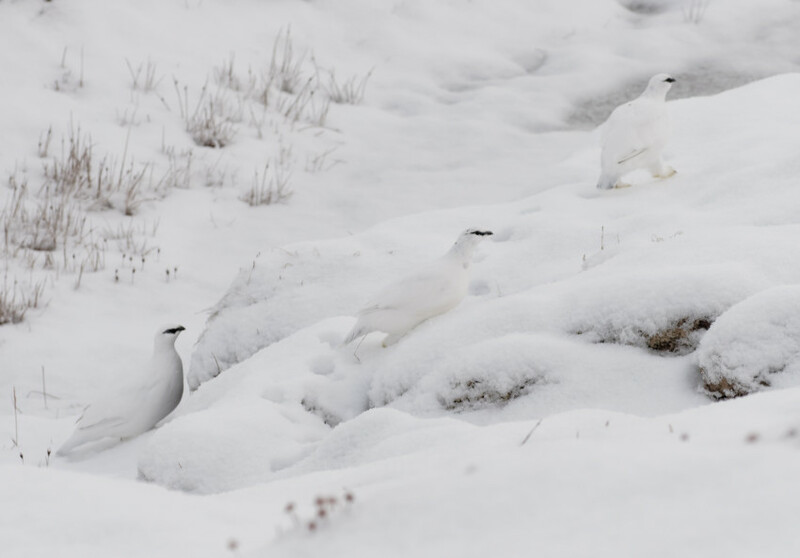 But in the end we could see this three ptarmigans moving slowly ahead of us, and we made pictures like this. Sunsets in Greenland can be sublime or not, depends on the weather. In this case we were lucky and we saw a soft colors sunset with infinite shades. A splendid prelude to the extraordinary aurora borealis that night visited us. By the way, the presence of the bird in the picture is not accidental: I waited until it was right in the position I wanted and took the shot. It did't go again in place, so is the only picture we have with the bird. We were at Punta Espinoza, Fernandina Island, Galapagos, taking pictures of iguanas at sunrise. 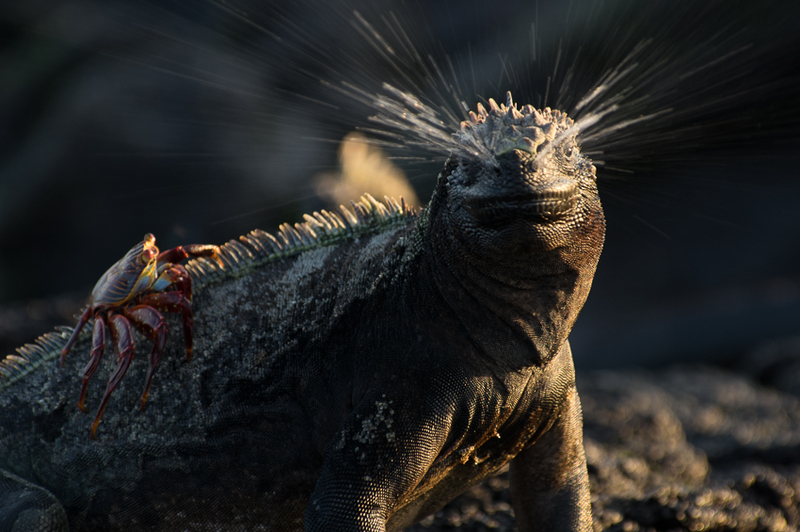 The golden light of the rising sun illuminated the iguanas, who stayed very still trying to warm their little bodies. As barely moving we used a slow shutter speed. When pressing the shutter the iguana sneezed, and it was recorded in this way. These sneezings are common, because they should remove excess sea salt they ingest, but it is almost impossible to predict when they will do it. Get an image like this is really difficult. 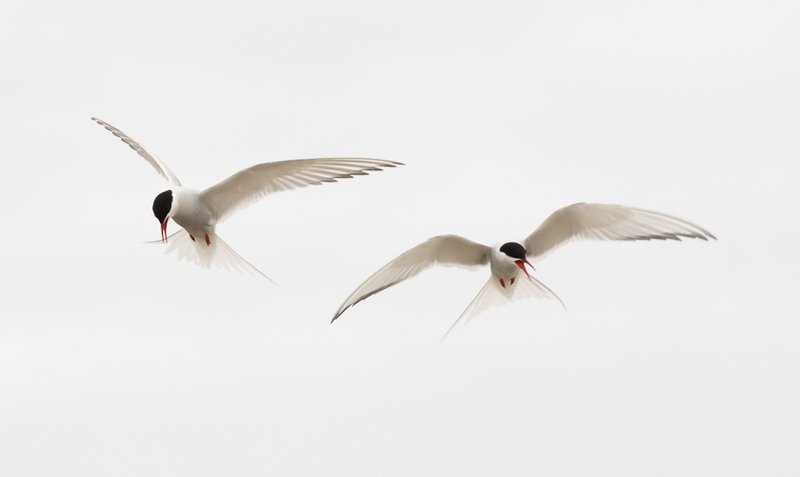 Being in Lagoya, Svalbard, admiring about 40 walruses resting peacefully on a beach, we saw some terns perched on the floor, near walruses. They were in the nest, and as we approached darted ominously over us. When we realized the situation we move away quickly, so do not bother them, but not before making a quick photo. 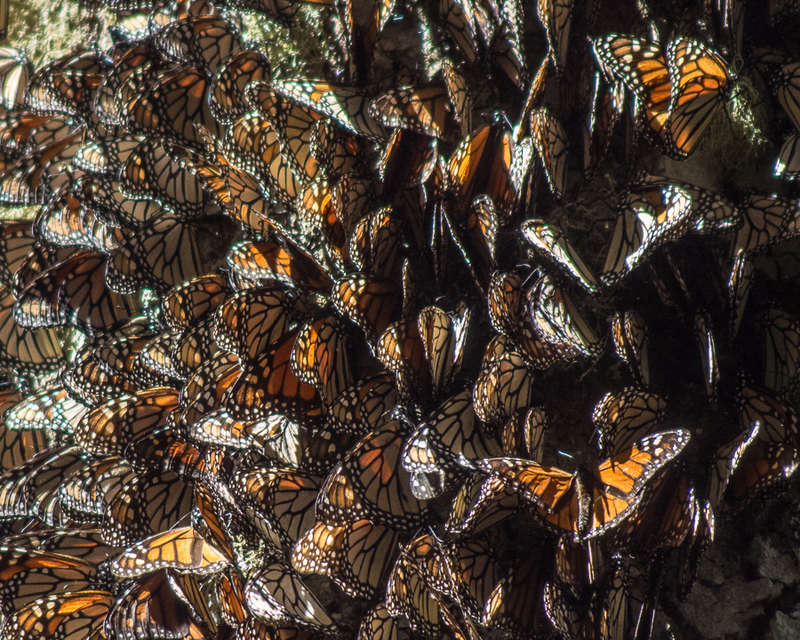 One of the most impressive migrations in the animal kingdom is that of monarch butterfly: they come from the U.S. and Canada to Mexico to mate, and then return north to lay eggs. In a wooded area between the states of Mexico and Michoacan is where these insects find the ideal place to spend the winter. We had the chance to see them in early March, shortly before his departure, crowded into the bark of trees and flying around us on a mesmerizing beauty. The photograph of these butterflies is not easy because they live at about 3,200 m altitude and the sun causes a great contrast in the image. In addition, the large number of people who come to this place raises a lot of dust, which considerably reduces the sharpness. But we believe the visual document worthwhile. One day in December 2010 , after a heavy snowfall , we decided to go to the Sierra de Madrid to test a new camera, the Pentax K5, designed to withstand the harshest weather conditions. The venue was the Nevero , 2,209 m high, a magnificent viewpoint from which you can see Peñalara, 2.428m , the highest peak of Guadarrama. The day was clear and sunny, ideal for mountain photography . But just that day something unusual happened : due to a conflict of air traffic controllers , the government decided to close the airspace. The consequence was that the sky was free of those white traces that always appear in the photographs near a major airport. That day we could enjoy a clean and clear sky, the cleanest we've ever seen. 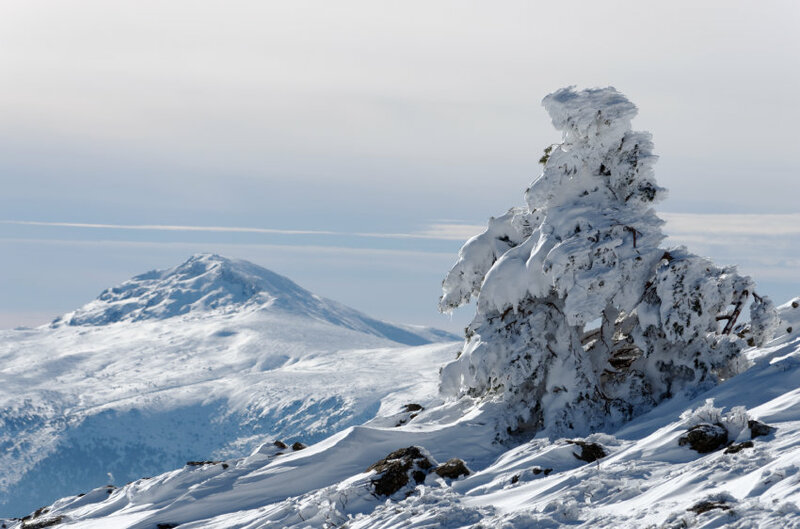 In this picture we see a completely snowed tree with Peñalara in the background. I wanted the tree to remain well focused and slightly defocused the background to give depth to the photograph. Winter is very hard on the Yellowstone NP. 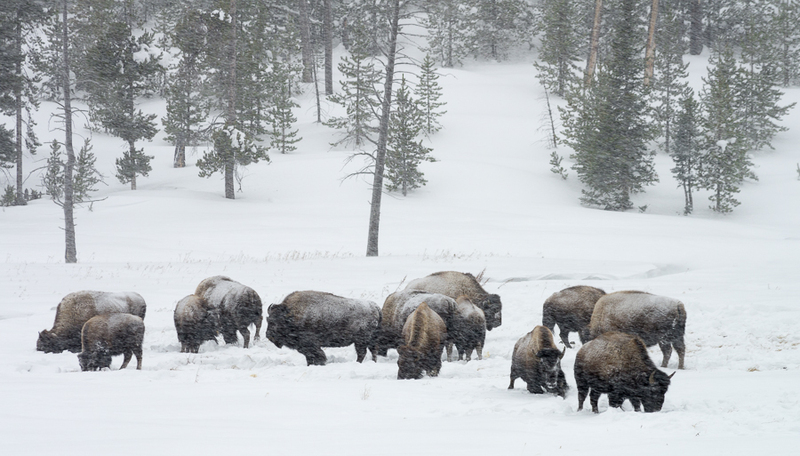 This time we found a group of bisons grazing under an intense snowstorm. We got off the snowcoach just the time to make a few photographs, because the cold was intense, and the snow was covering our equipment quickly. The image reflects the harsh conditions the park wildlife have to endure during winter.